I’ve published a few things since last post: three print cartoons, a Daily Shout, and various cartoons for Proust & Panda and my instagram. In October, I had a lot of fun participating in WGBH’s Launchpad residency, creative consulting on a number of wonderful animated projects. And what a thrill to talk with NCC students about making comics! It was an honor to be part of the Arts and Lecture series as the Fall 2018 speaker. A couple larger projects around the bend; stay tuned! Thrilled to be a part of this exhibition at the Society of Illustrators, curated by Liza Donnelly! Funny Ladies is up through October 13th, featuring myself; the incredible women in this photo (from left: Roz Chast, Liza Donnelly, Carolita Johnson, Liana Finck, Emily Sanders Hopkins, me, and Mary Lawton); and many more! Photo from the Society of Illustrators. Click the image to read my new comic, Ants, up now on newyorker.com! It's FICTION, I tell you: FICTION. 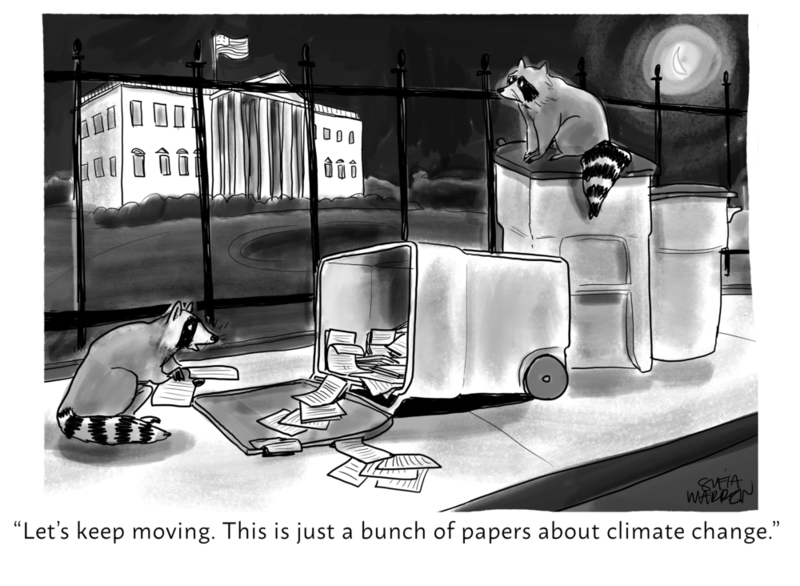 I did the New Yorker daily cartoon for July 4th. Click the image to view on the website. I launched a new series this week! It's called Proust and Panda, and it's about Marcel Proust (ish) living with a panda bear in Brooklyn. It's VERY millennial and YOU BET I will be posting a bunch, across platforms. Check out the first few stories on its own site, Instagram, and Medium. 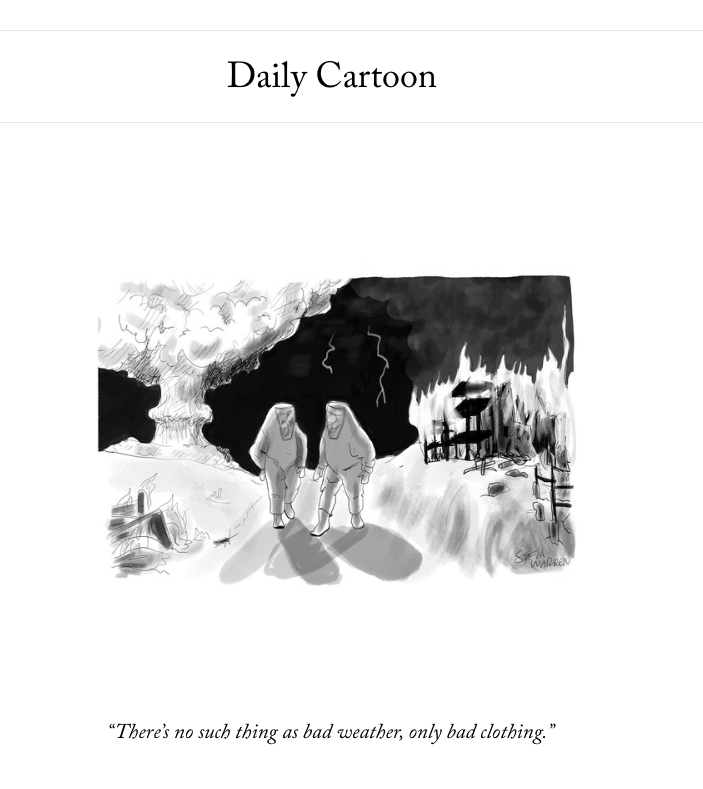 I'm so stoked to see my cartoon published in the June 25th New Yorker magazine. Click the image to view the print at the Conde Nast store. Thanks for having me, Panels to the People! I read out loud and I didn't puke even a little!